Editor”s Note: This project has finished, but please contact Young Focus directly to help at any time! You can support through our crowdfunding campaign by clicking the button below. If you want to give more than the P350 volunteer fee, you are more than welcome to do so at the day of the event or by donating here. Please Note: We will only be able to accommodate 40 people. So volunteering is first come first serve. We hope to see not just an outpour of support for our chosen cause, but rather a start of a movement. 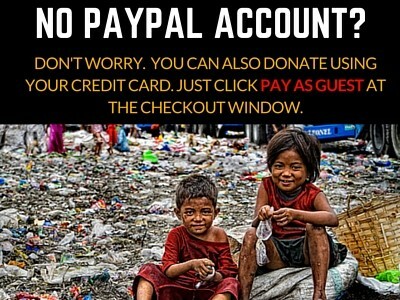 A movement to begin giving back when we can, paying it forward, and helping those in need. What started as a waste disposal facility for Metro Manila turned into a dumpsite with over 2,000,000 tons of garbage. 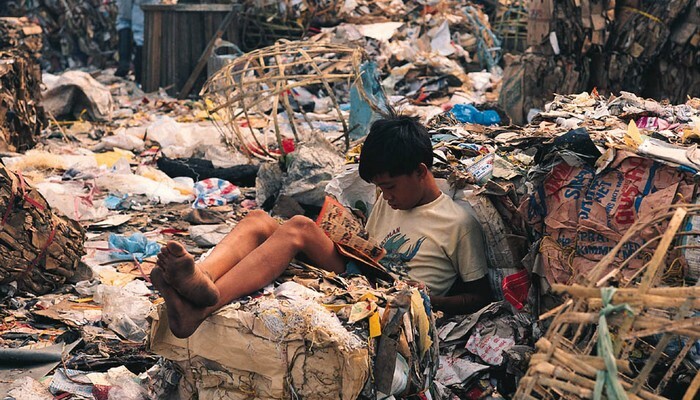 Although the place has been demolished as a dump site, a lot of families still live off the garbage there. Sadly, this place is also home to many families. Its name derived from the continuous fires to decompose the endless mounds of waste. 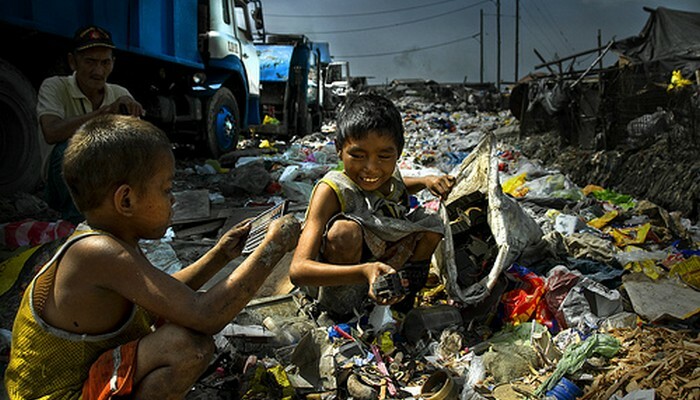 Families in the slum don’t just have to live with the filth, dust, and toxic waste, but are in fact, dependent on it. With no other alternative sources of livelihood, they spend their days endlessly sorting through plastic, glass, and rubber in hopes of finding things that they can sell. Dangerous electronic wastes are their most prized commodities as they can manage to get P300 (7 dollars) if they gather a kilogram worth. Often, they only gather a tenth of this amount on a daily basis. Because of their need to survive, going to school is the least of the concern of the children as they all want to help their parents, any way they can. Every day, people wait for the garbage trucks to come deliver fresh garbage collected from different parts of the city. Together, they pick through whatever they can find and trade in their collections of plastic or aluminium in junk shops for some money. Around the area are makeshift homes made of sheets of metal, cardboard and tires. With no access to clean running water or even sanitary toilets, the living conditions here are atrocious. 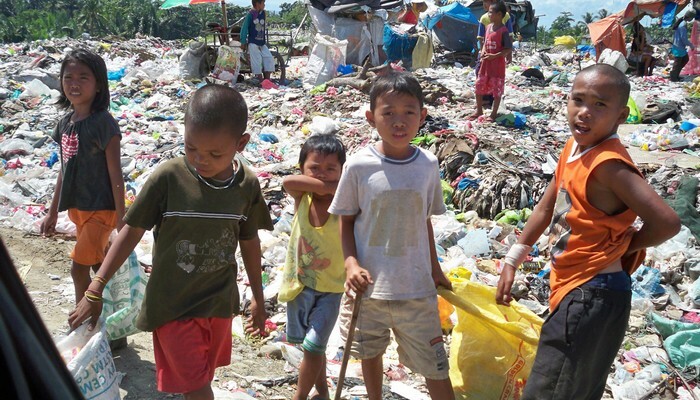 When you walk around the dumpsite, you will see children covered in black soot as the stench of burning garbage fills the air. Seeing this was hard. Writing about it is even harder and I don’t think I can ever fully describe the plight of the people living there. Tom and I started Adventure in You as a passion project fuelled by our love for travel and adventure. Apart from just starting a blog and writing about our travel experiences, one of the things we wanted to do was to find different avenues for travellers to be able to help while on the move. 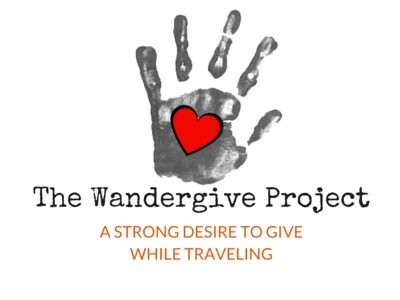 We decided to call this The WanderGive Project. Defined by us to be; A strong desire to give while traveling. The question is, why do we want to do this? The answer is simple. Traveling has changed us in so many unspeakable ways that somehow, we feel compelled to give back. 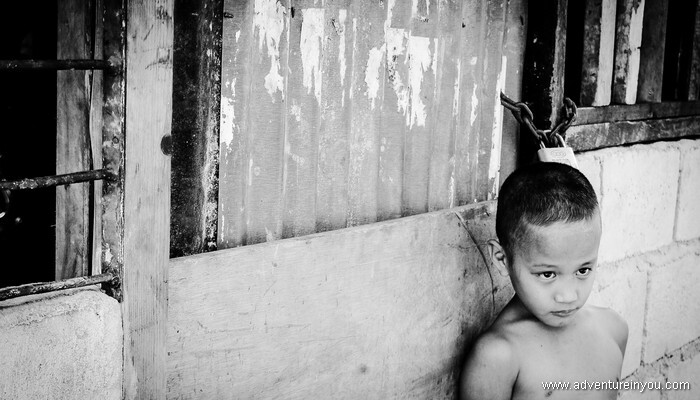 We have seen unfathomable beauty amidst communities living in extreme poverty. 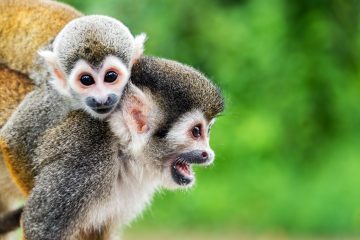 We know we can’t change the world, but why not help when we can? 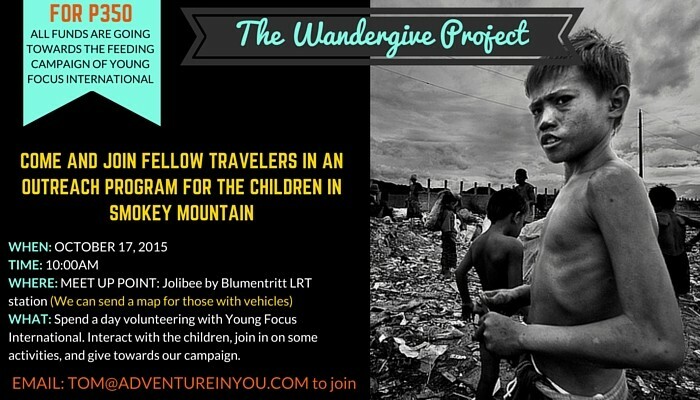 Wandergive was created with the aim to help communities in different ways, no matter how big or small. 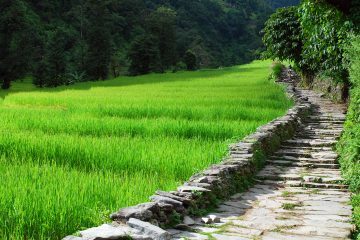 We hope to inspire backpackers and other travelers to help out with our cause, or simply give back in their own little way. 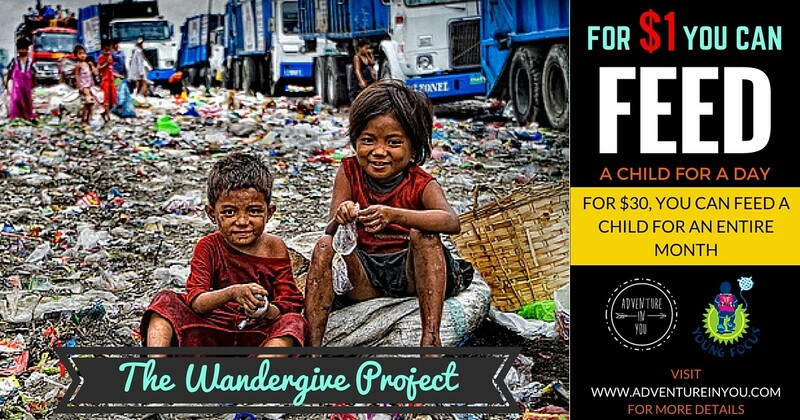 With this in mind, we are happy to announce that we are launching our very first Wandergive Project, partnering with Young Focus. Initiated in the Netherlands in 1992 by a Dutch and British missionary, Young Focus is an organization that supports the local community in Smokey Mountain through various programs. What started off as financial support to send the children of the community members to school, turned into a large scale project which now has built two centers. A student center with classrooms, a computer room, and a library. They also built a center in the community with a daycare and preschool (kindergarten). 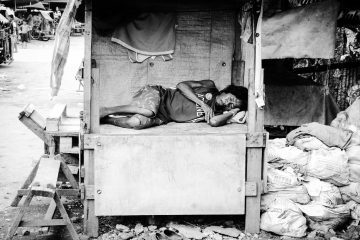 In 2014, the local authorities started demolishing Smokey Mountain 2 where people were forced to move to different areas. Although some don’t live in the dumpsite anymore, recycling and charcoal making are still their main sources of income, making them gravitate back to the dumpsite. Because of their economic situation, children can often be found working rather than in school. Due to this, Young Focus has a student education program where they provide sponsorship for local students to go to school. Donations to support children to go to school for a month varies from $29.50 (elementary to highschool) to $59 for college/vocational training. 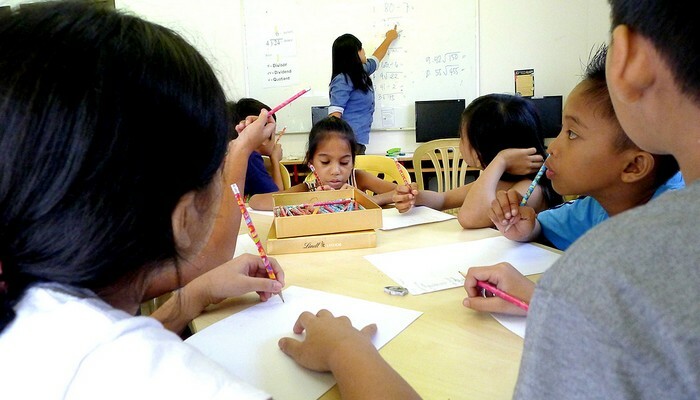 Apart from this, they established a Love2Learn Student program where they provide out of children (age 8-14) reinforcement lessons to encourage them to go back to school. 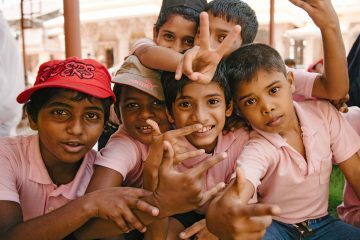 Apart from their Educational Programs, Young Focus also established a child care center for babies (0-3) to accommodate malnourished children who need care. Often, the children who live in the slums are born with severe respiratory illnesses such as pneumonia and tuberculosis. They have programs teaching parents how to combat malnutrition combined with feeding programs within the community. On Saturday October 17, 2015, we are organizing a community outreach to visit the awesome folks at Young Focus and you are invited to join. Note: No longer available at this time. Please contact Young Focus direct. For only P350 ($7.5), you can join the outreach and help make a difference in the lives of many. For the amount you are donating, you can spend a day interacting with the children, volunteering your time and efforts to support their many different programs. Your contribution will go directly towards the amount we are aiming to help feed malnourished children. The meals given to them are designed by a nutritionist. The mothers of the children are taught how to make the meals on a daily basis so that they learn how to make the nutritious yet affordable meals themselves. 10:30am-11:00am Introduction in the Student Center. Short film showing plus an overview of the building and the various activities. 11:00am-1:00pm Walk to visit their other centers where they have their preschool and daycare. We will split the group into two where one group can explore the slum sites nearby called the temporary housing while another group can help out with activities within the centers. 1:00pm- 2:30pm Group 1 can stay in Vitas center and have an activity. Group 2 goes back to the Student Center to participate in an activity there. Gather back at the Student Center at 2:30pm. 2:30pm Wrap up activities. You have the option to check out locally made jewellery/ young focus T-shirts to further support their cause. If you want to join the event in Manila, please email: tom(at)adventureinyou.com (replace at with @) with the following details. You will receive a confirmation email within 24 hours giving you more details about the event. For our readers that aren’t based in the Philippines, you can show your support by donating to our crowd funding campaign. Any amount, big or small will help make a difference in their lives. Please make note that all proceeds will be given directly to Young Focus International and will in no way benefit Adventure in You. As this is our very first campaign, we are nervous but looking forward to making a difference! Too bad I’m too late for this. It sounds like such a great cause; would’ve been great to take part. Any chance you might run this project again soon? Cheers!